t is very difficult to understand why companies specializing in devices based on electron tubes did not rush to the new market segment, which suddenly opened up to them - the headphone amplifiers' one. Very few really noticed this opportunity and made some effort to solve, it would seem, a simple problem, of creating an amplifier designed to drive headphones. Which is strange because this part of the audio market has been rapidly growing n the recent years attracting even some companies that never had anything to do with it. It is no coincidence that today one finds headphones in lineups of many loudspeaker manufacturers even such prominent ones as: KEF, Bowers & Willkins , PSB, Focal JM-Lab etc., because all of them had the experience in the field of electromechanical transducers - although historically speaking, companies specializing in microphones became also specialist in headphone making. These are brands such as: Shure , AKG, Sennheiser, Beyerdynamic, Audio-Technica, or Sony. 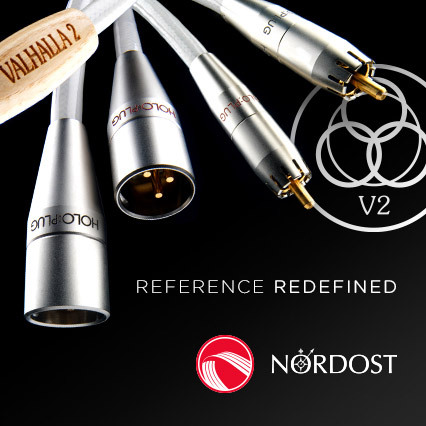 But apart from them also some other companies with indirect experience, joined the “market fight” too, such as: Harman/Kardon (via Revel) or even some having no experience at all, such as: Audioquest and Cardas. The reason for this change was, it seems, a desire of expanding to a new market segment, that at the time wasn't that crowded as the other ones. The number of new models, brands, designs available in the second decade of the 21st century is incredible. The more incomprehensible it seems to me the silence in this matter of such companies as: Kondo, Ancient Audio (apart from the solid-state P-1), Octave, Jadis http://www.jadis-electronics.com , and until recently also Ayon Audio. Why is this happening? Could it be, perhaps, because different laws apply to headphone amplifiers and one needs proper experience to design something that would be good enough to uphold company's reputation? Probably yes. But when someone takes the risk and devotes time and efforts to such purpose, they might come up with unique devices, such as ones offered by American Woo Audio. Let me remind you that in Poland, one of the most important pioneers of the tube headphone amplifiers was the Dubiel Accoustic company. Or maybe there is another possibility - the owners and designers of companies focused on tube designs usually listen to music using high-efficiency loudspeakers, often large in size. It is not possible to transfer such sound into the world of headphones, because here room acoustics element is not involved. As it happens in life, probably both of these explanation include some truth but are incomplete and there must be some sort of a "trigger" to ignite a concept mechanism, a series of events that can culminate with the decision to build a headphone amplifier. 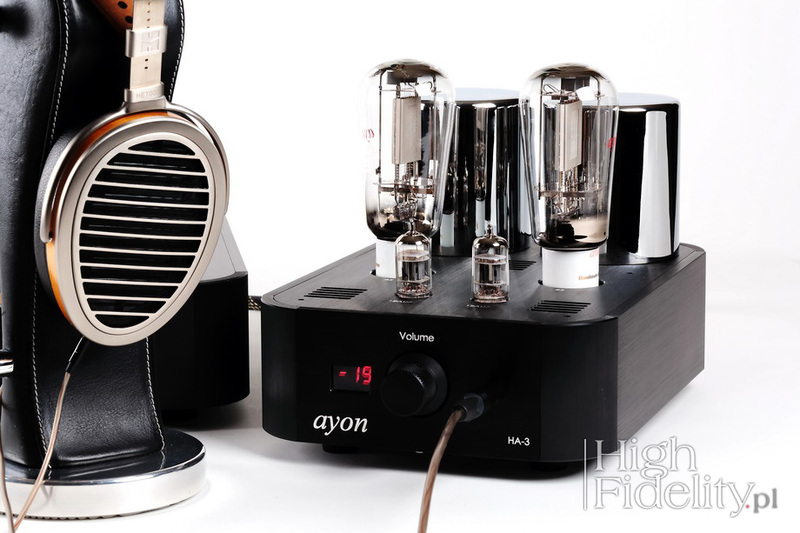 HA-3, a tube headphone amplifier by Ayon Audio, was in a way, "inevitable", it just had to wait for the right time. And this time came, it seems to me, along with the Conquistador preamplifier, a completely new Ayon's design, which uses, instead of Siemens C3m pentode, used eg. by the German Post Office, the 45 triode, the AA45 Mesh version produced by Ayon. Precisely the same tubes can be found in the HA-3 amplifier. The are driven by the dual triode 12AU7, which is less common than 12AX7. The entire circuit works in class A. 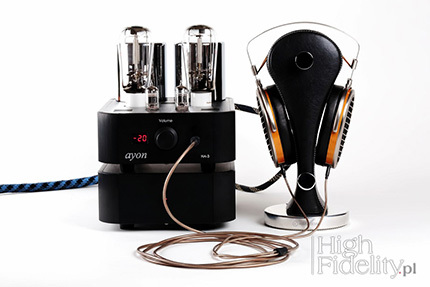 The tubes look really nice in a small, but extremely robust housing, which is a smaller version of the chassis used, among the others, for Scorpio Black monoblocks. On the front side there is a knurled knob to adjust the volume, and next to it, an alphanumeric red LED display, which is lit only for a few seconds after one adjusts volume. HA-3 can be fed only with an unbalanced signal as it is an unbalanced design – the headphone output is also unbalanced. We can use a wide range of headphones with it - the manufacturer claims it will work fine with impedance loads between 16-600 Ω, which is very wide range. HA-3 is a tube amplifier, but not entirely - is powered from the solid-state power supply. It received a separate chassis of the same size as the amplifier's, minus - of course - transformers and tubes on the top. The power features an on/off switch placed on its bottom. Both modules connect using a multi-core cable terminated with connectors similar to those used in Spheres III, only smaller. WOJCIECH PACUŁA: Who designed HA-3? GERHARD HIRT: The HA-3 was designed by our two Preamp engineers, who are normally doing only Polaris, Spheris and Conquistador, but this time they got a special job and based on their preamp extensive experience they developed the HA-3. 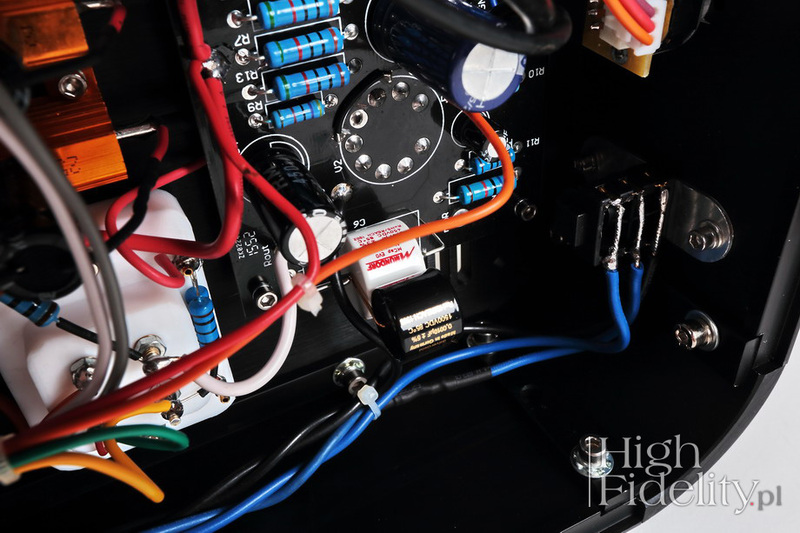 Why did you choose 45 triode for this project? We believe that the AA45 tube is the best sounding one for "low signal" designs, like in a preamp ( Conquistador) etc. and of course perfect for headphone amps, like the HA-3. Well observed: In this position where the cap is located, it is a very critical place and in the headphone amp more sensitive than in any other device. We were trying so many caps but with none of them we were 100% satisfied until we started up with an unusual combination. Two totally different caps and also different values from even different series. The black one (Mundorf Supreme Evo – Silver Gold ) has only 0,001 uF capacity, which normally is too small to have any meaning, but when used in combination in this SET/DHT design with the white one, 0,47uF Mcap Evo, it delivers an outstanding performance. These two together add so much "air and space" – that caught us by surprise too, no other cap (of standard value between 0.1 to 0,47uF for this purpose) could do that. Again the black cap is not 0.1, or 0.01, it is ONLY 0.001uF, but is makes a huge difference in the HA-3 design! The HA-3 is a two-box amplifier, powered from power grid. The power supply and the main part are connected using a flexible, quite long cable, so it's best if we put them on separate shelves. If side by side is necessary leave as much space between them as possible. During the test the amplifier section stood on its own feet, on the top shelf of Finite Elemente Pagode Edition rack, while the power supply was placed on a lower shelf, additionally on the the Acoustic Revive RAF-48H anti-vibration platform. On top of the power supply I placed passive EMI/RFI Verictum X-Block filters. The device was powered using Harmonix X-DC350M2R Improved Version (2 m) and Hijiri 聖 SMT 'Takumi' Maestro (2 m) power cables. 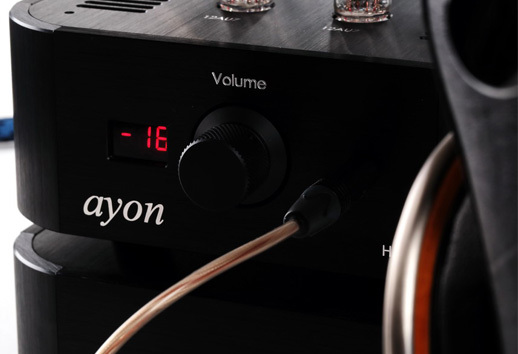 The amplifier was compared with a "High Fidelity's" reference, the battery-powered Bakoon Products HPA-21, using its current output. I used also the Synergistic Research HOT filter. The basic headphones for this test were the phenomenal HiFiMAN models - HE-1000 V2 and V2 Edition X, but I also tried it with: AKG K271 Studio, AKG K701, Beyerdynamic DT-770 Pro Limited Edition (32 Ω), Beyerdynamic DT-990 Pro (600 Ω), Sennheiser HD800 and HiFiMAN HE-6. No one would probably say anything, if the HA-3 proved to be one of those devices that being the first in company's history, opening a new area of interest, was a good, successful, maybe even really successful product, and yet not quite as good as what this company offers in other areas o its activities. In the specialist, perfectionist industry, which audio is a part of, the first, second and third key factor when making a great sounding device is: experience, experience and experience, while money and reputation might only support it but never replace it. But the truth is that the Ayon headphone amplifier is a mature product. That means that it delivers performance as if there were many other amps of this type in Austrian company's lineup before, and it was the culmination of this road towards perfection, a ripe fruit of many years of effort. This maturity/ripeness is based on filling in the outlines with a living tissue.